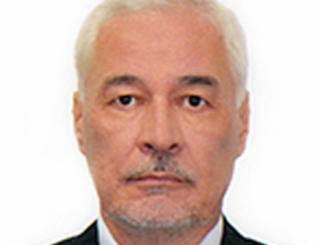 Russia's ambassador to Sudan has been found dead in a swimming pool at his residence in Khartoum. Sudanese police said a preliminary investigation indicated Mirgayas Shirinsky had died of natural causes. Although his death is not suspicious, Mr Shirinsky is the fourth Russian diplomat to die in service in the past year. In February, Russian UN ambassador Vitaly Churkin died suddenly in his New York office. A month earlier, Alexander Kadakin, the Russian ambassador to India, died following a brief illness. Last December, Russian ambassador to Turkey Andrei Karlov was shot dead in Ankara by a Turkish policeman apparently in protest at Russian involvement in Syria. Sudanese police announced 63-year-old Mr Shirinsky's death on Wednesday evening saying he was "found dead in the swimming pool of his residence at 7:05pm (16:05 GMT)." "Preliminary investigation shows that his death was natural," police spokesman Omar al-Mokhtar told AFP news agency. Russian foreign ministry spokeswoman Maria Zakharova said on Thursday that staff at the Khartoum embassy called an ambulance but Mr Shirinsky "could not be saved". "The Russian envoy was found in his residence with evidence of an acute heart attack," she said. "He dedicated his life to diplomacy. We express sincere condolences to his family and loved ones." Mr Shirinsky served in the Russian diplomatic corps for 40 years. US officials have not disclosed the cause of Vitaly Churkin's death, saying details were withheld to comply with international law. Russian officials argued that disclosing details could cause embarrassment to the ambassador's family or hurt his reputation.